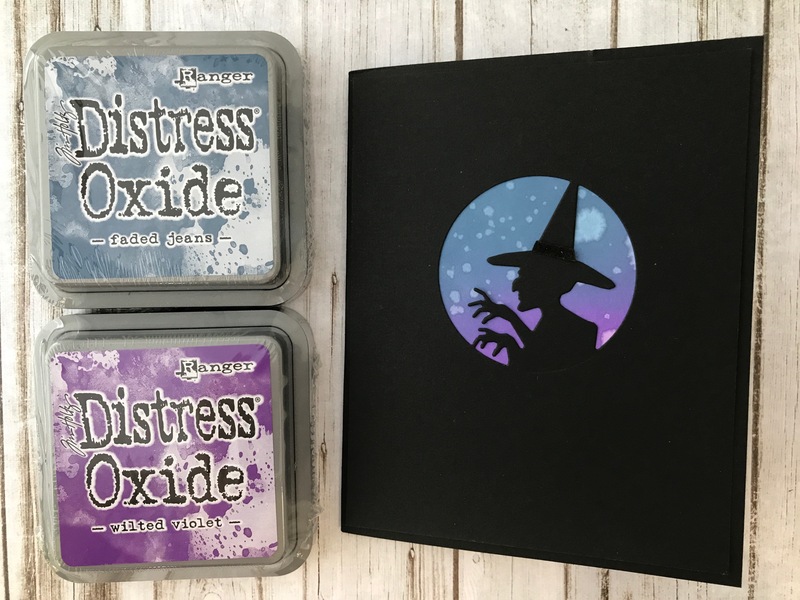 Distress Oxide Ink on SALE through Friday! 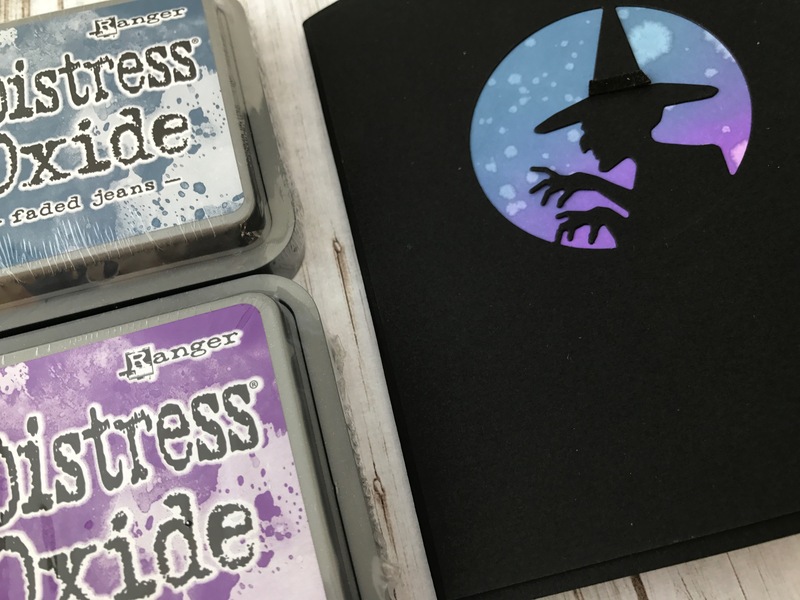 Now is the time to stock up on one of your favorite ink pads and to get maybe some of those colors that you've had on your wish list! 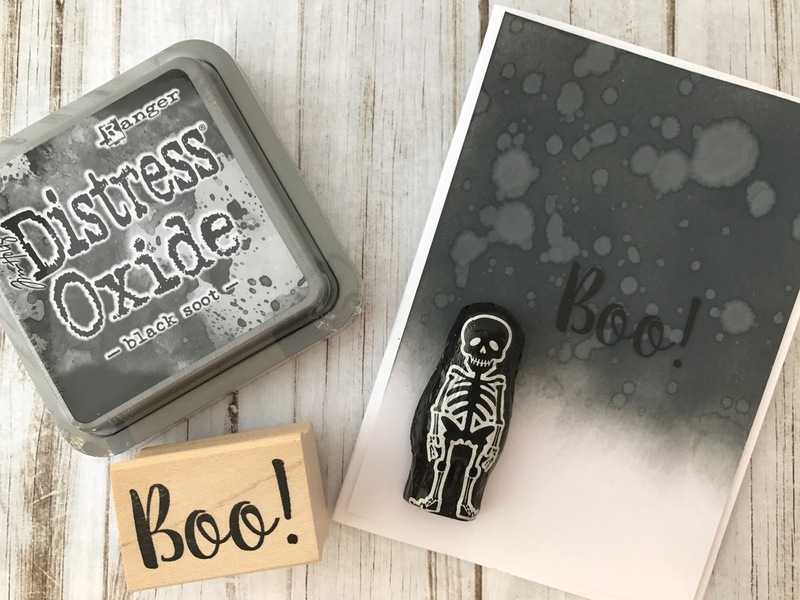 We love to play around with the Oxide Inks and here are a few cards that we did for the Halloween season! 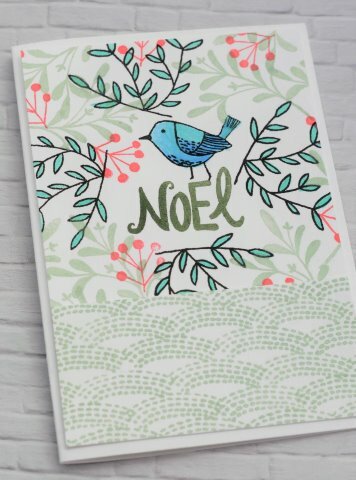 These techniques are done using the blending tool and covering the paper with the solid color of ink. The above is using the black soot and the below card has two colored blended together. Then you sprinkle water over the inked area and it will have this splattered look. To speed up the process, I will blot with a paper towel to whip up the extra water. This entry was posted in Trend Alerts on October 4, 2017 by Impress. It's always fun to participate in the Coffee Lovers Blog Hop and we are especially thrilled about the Fall one! We love fall and everything about it, the crisp mornings, enjoying the last few sunny days, football and especially coffee. 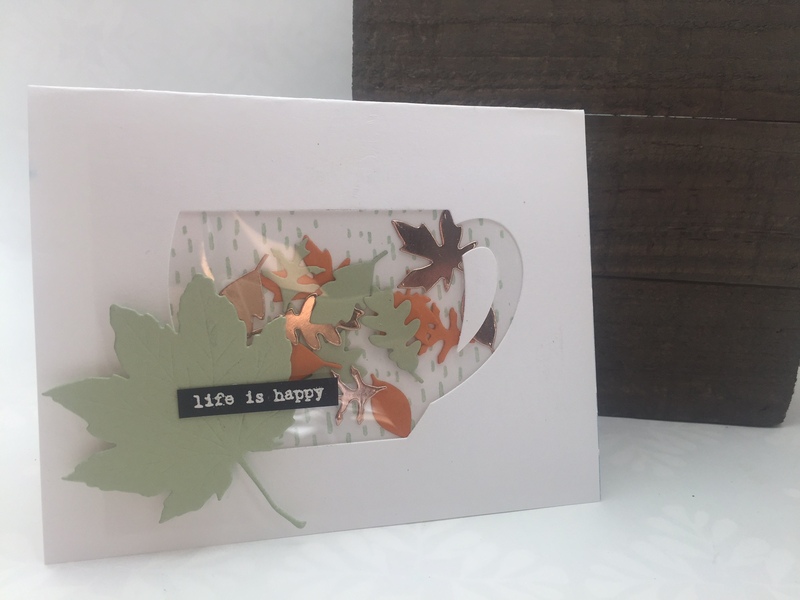 We combined the coffee theme with fall leaves for this shaker card. 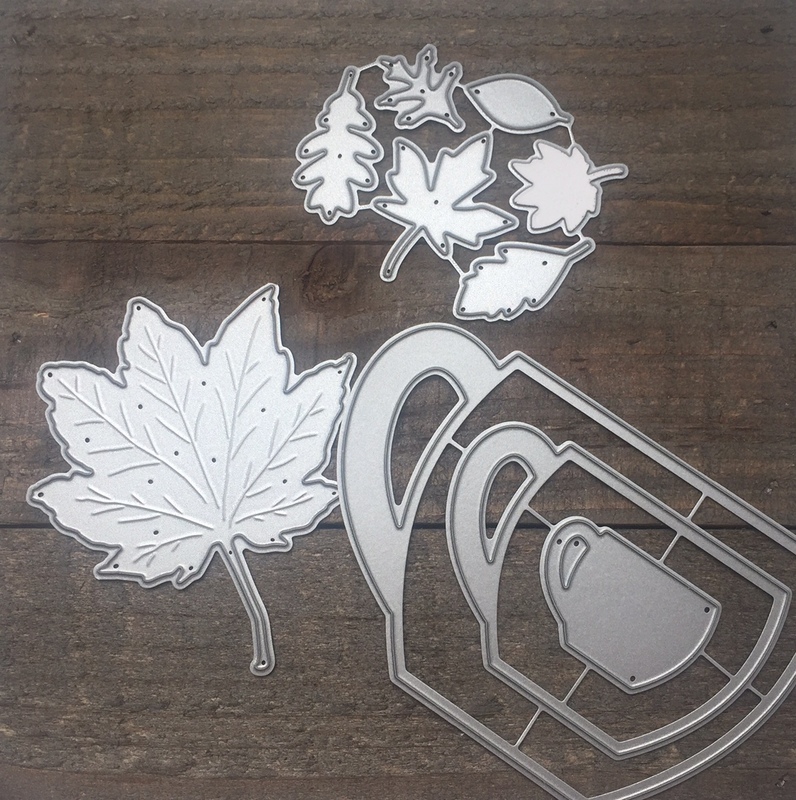 We didn't want our die cut leaves to fall to the bottom so it's a flat shaker! 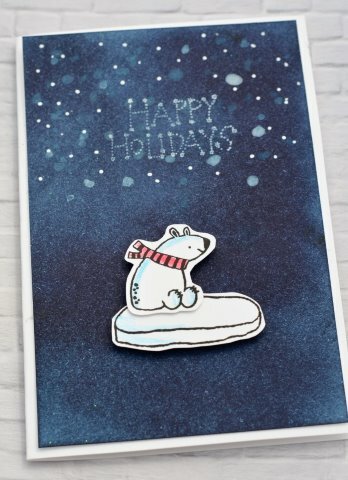 We omitted the foam tape and instead just taped everything securely inside and placed the stamped background card on the inside. We die cut the small leaves in orange, tarragon and our new favorite rose gold metallic papers. 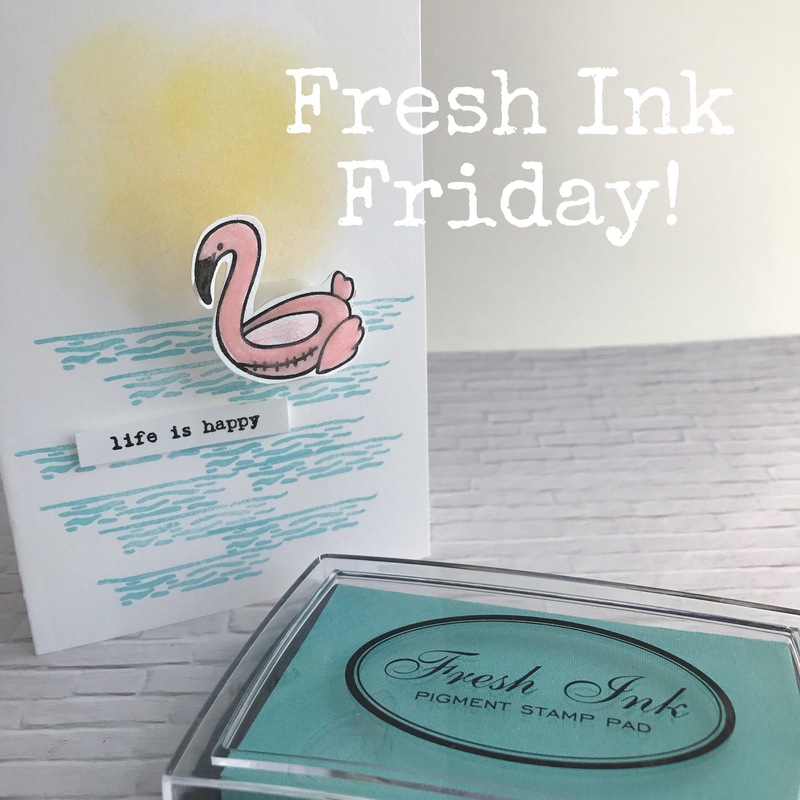 We also stamped the background using our succulent Fresh Ink. Thank you Amy for asking us to participate in the hop! 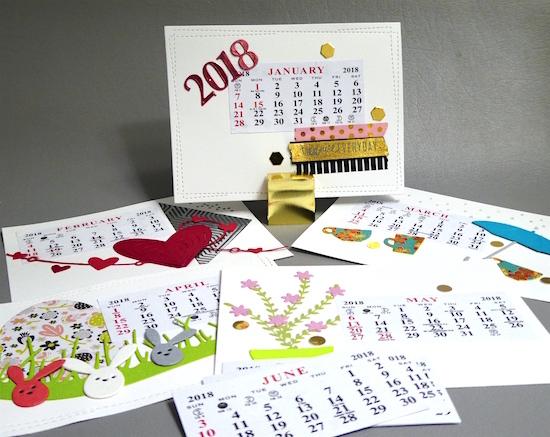 Be sure to check out the details for your chance to win a prize on their site at www.coffeelovingcardmakers.com. The blog hop ends next Friday, September 22nd. This entry was posted in Trend Alerts on September 14, 2017 by Impress. 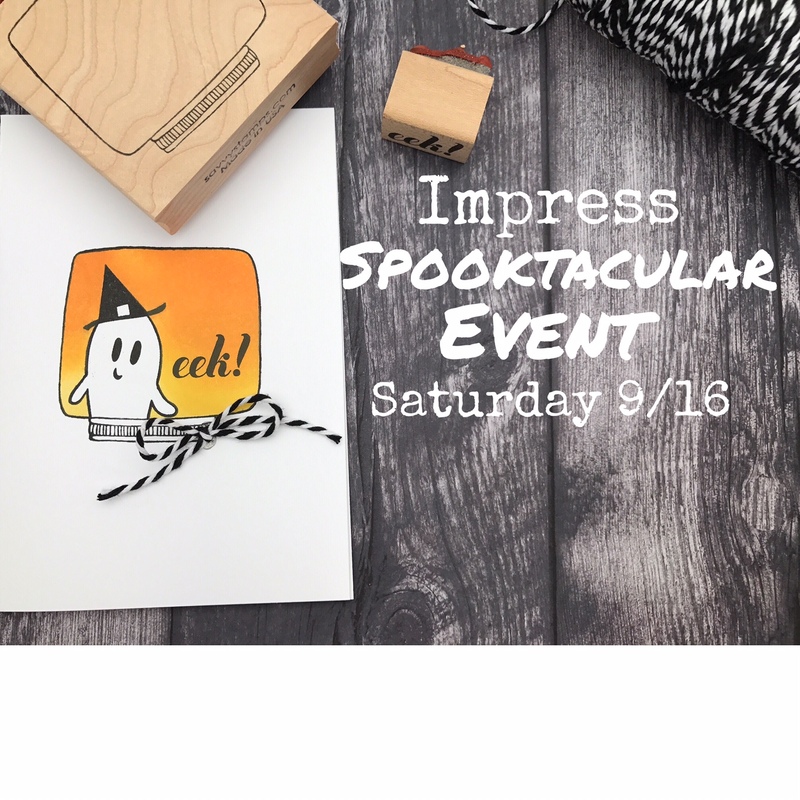 We have an exciting weekend coming up with our first Spooktacular Halloween event along with the ever so popular Calendar class taught by Jean Okimoto! 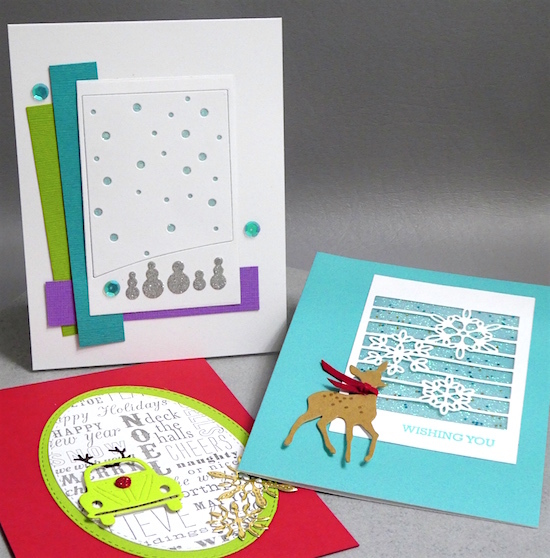 We will have goodies and demonstrations from 10 - 12 with lots of fun cards that can be sent for this spooky holiday! This entry was posted in Trend Alerts on September 13, 2017 by Impress. 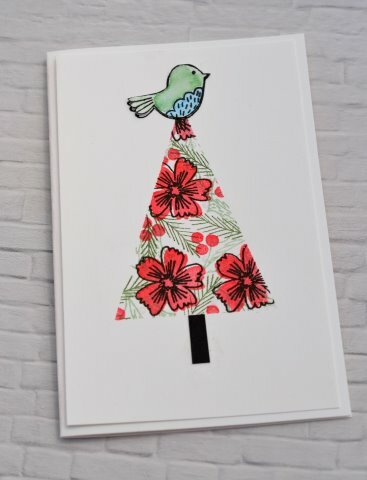 HOLLY, JOLLY & HAPPY CLASS THIS WEEKEND! This entry was posted in Trend Alerts on August 31, 2017 by Impress. 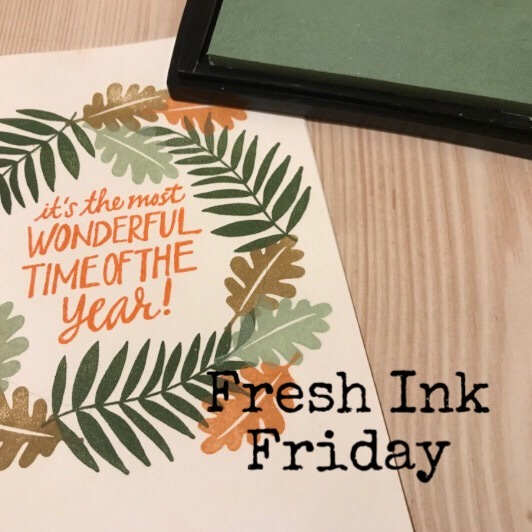 It's Fresh Ink Friday and the color of the day is: Succulent! Stop by either of our stores to pick up this color for 50% off today only. What a great way to kick off the weekend! You'll love this color, it's one of our favorites. This entry was posted in Trend Alerts on August 25, 2017 by Impress. We are participating in the Summmer Mega Instagram Hop but wanted to get the word out so we posted the information here as well! Head on over to our Instagram to get it started and be sure to read the details below! 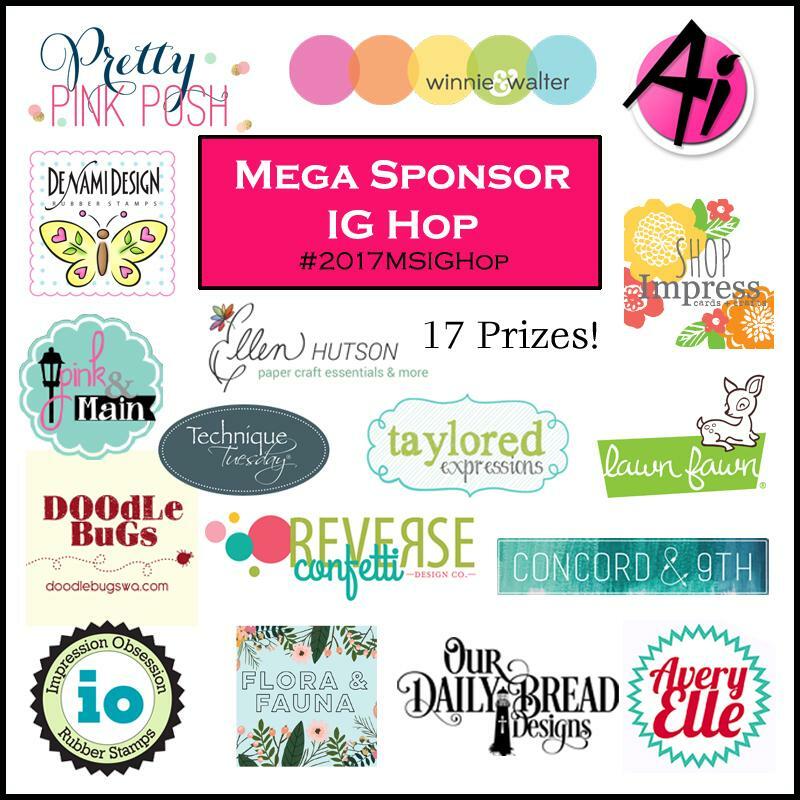 17 sponsors have collaborated together to create an Instagram Mega Sponsor Giveaway! Combined total prize value is over $500! We will be giving away 17 prizes to 17 lucky winners! Just click on the image to see where your next stop is. Just keep hopping until you get back to this stop because it is a loop. Contest goes until Friday, Sept 1 with winners announced on Friday, Sept 8 at noon EST. Good Luck and have fun with the hop! This entry was posted in Trend Alerts on August 21, 2017 by Impress. 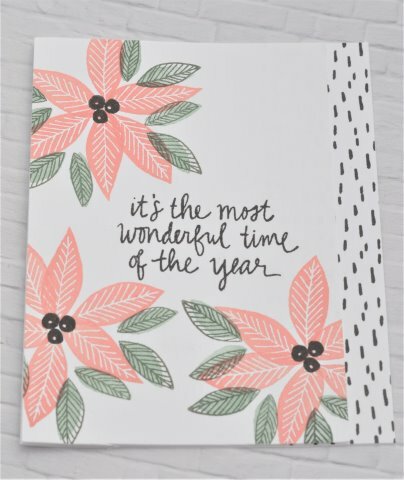 It's that time of year and we have so many great new products that you will want to stop by and check everything out! You'll want to come EARLY for a chance to win one of our goodie bags! See you Saturday! This entry was posted in Trend Alerts on August 17, 2017 by Impress. 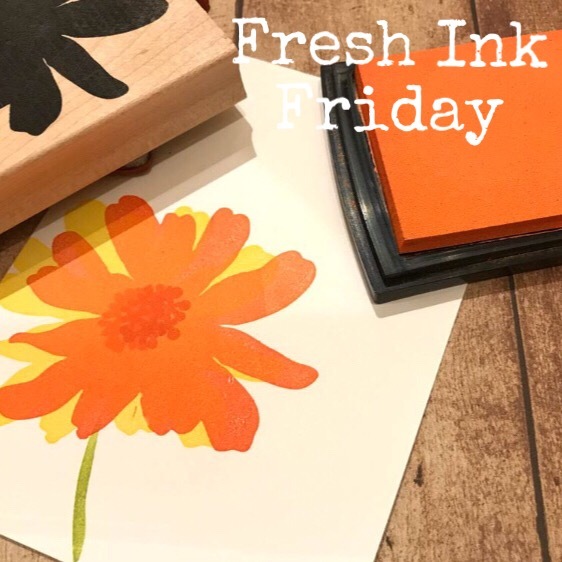 Stop by one of our stores on Friday to pick up our Fresh Ink coral ink pad for 50% off - Friday only (8/18). This entry was posted in Trend Alerts on August 16, 2017 by Impress. All day Friday, August 11th we will have one of our favorite colors 50% off and that color is ISLAND! 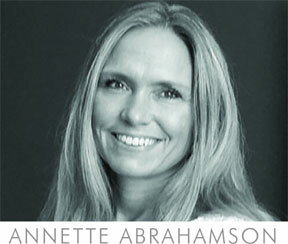 It's the perfect blue-green color that coordinates with many colors. We love to use it for water, sky and everything in between! This entry was posted in Trend Alerts on August 10, 2017 by Impress.